On the 26th of February 2019, I attended the Global Peace Convention 2019, which included sessions on Youth Partnerships for Peace, Security and Development and Youth Initiatives for Reunification. When we talk about unification, we never really consider the youth in our discussions. Most of us probably firstly think of the politicians—the leaders of the nation making diplomatic strides to bring nations together for dialogue. However, through this forum, I was reminded of the significance of the youth in the March 1st Movement of 1919, which was in fact sparked by the youth of Korea during the time of the Japanese occupation. Mario Hardy, CEO of PATA, reminded us that the world is in despair. Every time we look at mainstream media, it is full of unfortunate news. Yet, when we compare our lives to our parents or grandparents, we will find that our lives are actually better. Hence, the importance of the youth in bringing forward our shared dreams and making them a reality. Although many may feel that the reality of unification and political power lies in the hands of the politicians, the dreams of peace and unification is held in the hearts of many across the world. It was a humbling experience to be a part of the small gathering of the morning session of the Global Peace Convention who shared the same dream of peace and unification for the Korean peninsula. 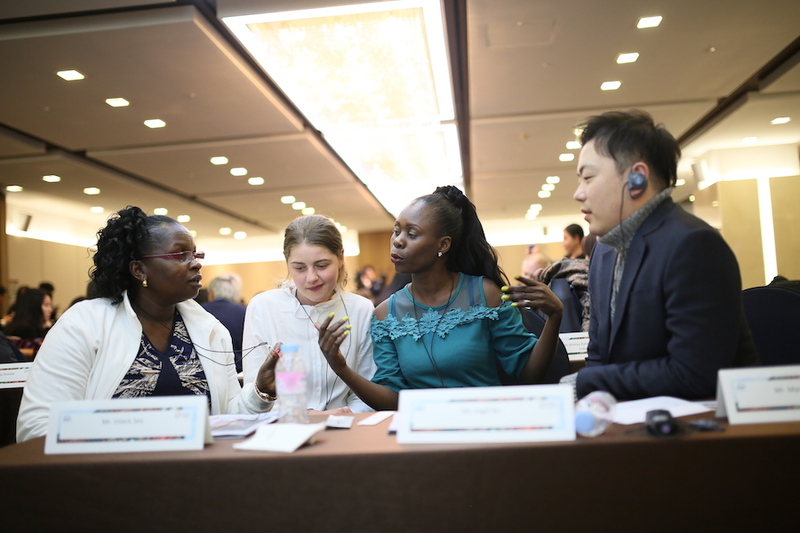 Follow more stories from Global Peace Convention 2019 and sign up for monthly newsletters so you don’t miss the latest on peacebuilding from Global Peace Foundation.